Any conflicts with AFL KAWO Arlington scenery? 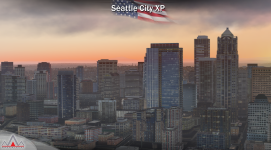 If I have already purchased Seattle City and Seattle Airports for P3D is there any discount if I purchase again for XP11? These are two different products. We do not provide the discount option however we often offer general discounts for all our products - up to 50% during Black Friday. This product has been updated to v1.1 . I can't figure out how to ask a question on this forum. Failed to find resource 'vegetation/forest_mix_poplar.for', referenced from scenery package 'Custom Scenery/DD Seattle City XP/' when starting x-plane. I followed the manual install instructions correctly. I also tried the automatic installer but I'm getting a corrupted file error so I can use it. Anti-virus is off. Bought at x-plane.org store and they are unable to help me and referred me to you instead. Purchased Washington XP and New York City XP and was very impressed. 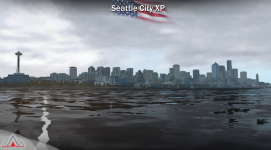 Purchased Seattle City XP and the city, docks,etc. are great. At the Boeing Company north of Seattle, the x plane 11 global scenery is no longer there and has been replaced with floating and half submerged buildings. I have rearranged the scenery.ini order, as well as looking at the earth nav data and have not found a solution. Removal of +47-123 results in no floating buildings at the Boeing Company but also no Seattle enhanced scenery. Could you offer a direction in which to correct this one location? The x plane 11 global scenery for the Boeing company is not bad. Would really like to have it and the Seattle enhanced scenery. Thank you. Thought I had posted this message but must have done it wrong. After further digging into the Seattle City XP scenery, I found that when I chose Boeing Company from x plane 11 menu, it took me to KPAE Paine Field and placed me on the north side on a road. Choosing KPAE Paine Field from the menu also took me to this location, but on the west side of the airport. KPAE Paine Field is where there are floating buildings and blank footprints of the buildings from x plane 11's default global airports. 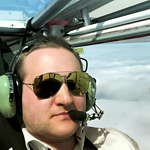 I have checked and have no other custom scenery or airports in this area, and cannot find the reason for the floating buildings and offset found at Paine Field. I hope this clarifies my earlier post. Thank you for any assistance. So the problem is floating buildings? Could you please provide a screenshot? Screenshots of KPAE Paine Field. 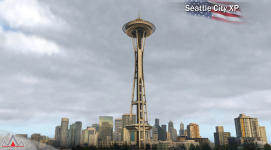 These were taken after KSEA Demo area removed from Custom Scenery Directory and the scenery.ini. Got the same results when also removed Global Airports from the directory and scenery.ini. As said before, Seattle, Bellevue, Redmond areas all appear correctly. In case it might be of use or show something I am overlooking. ...folders are missing. I would suggest doing a reinstall of the product. Re-downloaded Seattle City XP, both windows (which I use) and mac version. Re-installed used the windows .exe installer. Same results. Checked the mac version download zip file. DD Seattle Airports ARoads and ZZZ DD Seattle Airports XP Terrain do not seem to be included with the Seattle City XP scenery. Assume those folders and files are in the Seattle Airports XP scenery package only. Would guess its necessary to purchase the Seattle Airports XP scenery package in order for Paine Field to appear correctly.